The confirmation that three flint tools date from 40,000 years ago confirms the fact that the Nerja Cave (Málaga province) was inhabited by Neanderthal man. A group of scientists have been looking at items removed from the famous grotto some 20 years ago and say that there is no doubt about the evidence. The tools date from the middle Palaeolithic period and are part of 151,588 items which have been newly classified in an operation led by Antonio Garrido. 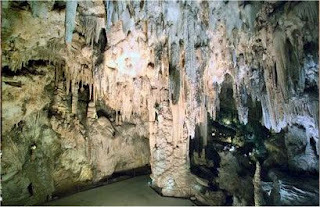 The news was released to the press yesterday by the Nerja Cave Foundation. Director, Ángel Ramírez, said that the news marks a key day in the history of the cave, and that it was exciting to know that that the municipality was witness to one of the most relevant prehistoric times.